Tsatsu Tsikata, lead counsel for the ruling National Democratic Congress (NDC) in the Presidential Election Petition, yesterday threw caution to wind, when in an open court, asked lead counsel for the petitioners, Lawyer Philip Addison, to ‘shut up’ with no reprimand from the Justices sitting on the case. In the full glare of television cameras beaming the hearing live, Tsatsu barked at Mr Addison, who had objected to his line of cross-examination of the principal witness of the petitioners, Dr Mahamudu Bawumia, when he said “Can you shut up”. Mr. Addison demanded that the NDC lawyer withdrew the insulting words but the judges overlooked it as if insults were allowed at the Supreme Court, setting bad precedent in the court proceedings. Interestingly, Justice William Atuguba, chairman of the nine-member panel hearing the petition, rather advised the petitioners’ legal team to seek redress from the bench if any, when Mr Addison protested over Mr. Tsikata’s indecorous language. The court could not ask Mr. Tsikata to withdraw his comment and the NDC counsel was also clearly not prepared to retract his statement either. “Let us go back to the rules of the game. All complaints should go to the bench for appropriate redress,” said Justice Atuguba, when it became obvious that Mr. Tsikata was not going to apologise for his choice of language. Mr. Tsikata was in his fourth day of cross-examination of Dr. Bawumia when the incident occurred and this further raised the tension already associated with the petition. Mr. Addison had objected to the line of cross-examination of the Second petitioner by Mr. Tsikata and in the process insisted that the NDC counsel kept repeating his questions all day and that a particular question being asked was ‘irrelevant’. Justice Atuguba then intervened to get Mr. Addison to explain what he meant by ‘irrelevance of the question’ and in doing so, Mr. Tsikata came in again but as the give-and-take ensued, the NDC counsel screamed “Can you shut up?” as if he was talking to a school boy. This did not go down well with the petitioners’ camp when Mr. Addison told the court that they were also capable of exhibiting similar behaviour and asked the court to tell Mr. Tsikata to use ‘decorous language’. Counsel: Can you remember two or three or four [people]? Witness: In terms of helping us to do that, Akoto Ampaw for example, was around to put this together. Gloria Akuffo was around also. Mr. Addison: My lords, what’s the relevance of these questions? Mr. Addison: The people who were present when these documents were stamped is relevant? Counsel: Can you shut up! Can you let me finish? Mr. Addison: My lords, these rude words that counsel has been using, we are capable of replying, and I think the court should call on him to use more decorous language and withdraw. We are capable of replying him, he should know that. Justice Atuguba: Alright, please let’s go back to the rules of the game; all complaints should be addressed to the bench for appropriate redress. Addison: We complained about the indecorous language used by counsel; is he withdrawing or he wants to go on without withdrawing. This has been going on for some time. Justice Atuguba: (Waving the protest off) let’s make progress, what I’ve said evens the slate and we proceed from there (this statement elicits uncomfortable murmur from the courtroom). All right, this is what we have done… (More murmurs) would you keep quiet! Proceed (referring to Mr. Tsikata). Counsel: My submission is that it is extremely relevant to know who were present and we are asking these questions in order to get to the truth of this matter. The witness is not telling the truth. Justice Atuguba: Could you elaborate on the relevancies so that we rule? Justice Baffoe-Bonnie: Your question was: Can you name two of them? He has named two, so why do you want to go on with anybody else…anybody else? Do you have to go like that? Counsel: My lords, he went on to add that his team was also there (Continuous banter between Counsel and the bench. Counsel for first respondent, Tony Lithur, steps in to defend Mr. Tsikata, but Philip Addison raised a protest because he insisted his objection was aimed at Mr. Tsikata. This forced the Judges to rule on the disagreement). Justice Atuguba: Well…this is our ruling (Clears throat): The objection of the petitioners is sustained insofar as questions relating to who of their legal team were present are concerned. The intervention of Tony Lithur regarding the objection of the petitioners to Tsatsu Tsikata’s question on grounds of relevancy is disallowed. A member of the petitioners’ legal team, Gloria Akuffo described Tsatsu’s outburst as an “unfortunate situation”. Speaking during a post-court interview, Madam Akuffo, who identified Tsatsu Tsikata as her law lecturer, said, “In fact, I have in my so many years in practice at the bar, never come across such behaviour”. She explained that it was a normal court practice for a counsel to rise up and raise an objection. At such times, opposing counsel was supposed to resume his seat. He could respond after his colleague on the other side had finished. She inferred that Tsatsu’s conduct may have shown disrespect not merely to Addison but to the Justices because “anything you say in court is addressed to eminent Judges”. After the ruling, Mr. Tsikata sought to know from Dr. Bawumia those who were part of the team that assisted the Commissioner of Oath to stamp and mark the exhibits that were brought to the court by the petitioners. Dr. Bawumia mentioned one Johnny Attafuah, Ronald, Harry and Emmanuel as some of the people who helped to prepare the exhibits and there was disagreement between counsel and the witness over the placements of the exhibits. Mr. Tsikata told the court that some of the petitioners’ exhibit numbers on the pink sheets were different from what was put in the box reserved for the Commissioner of Oath and suggested to Dr. Bawumia that it was an attempt to confuse and deceive the court. Dr. Bawumia insisted that it was not deliberate and added that since they made changes in respect to Exhibits K and S, a careful assessment of the further and better particulars they were asked to provide, could not confuse anybody. Counsel: There is a new list of exhibits that we have shown to your counsel and we are going to show to you (Mentions the exhibits in the list numbering 183 and shows witness the exhibits)… You will notice there is an exhibit number that has been cancelled, do you not? Counsel: Can you read what is cancelled? Witness: It appears to be MBK 514. Counsel: MBK 514, is that what you read? Witness: Yes, that’s what it looks like; it looks like a ‘K’ or an ‘L’. Counsel: You are not sure yourself? That is fine, but that has been deleted and then above it, there is another exhibit number which has been sort of truncated. Counsel: Do you see a Commissioner for Oaths signature? Counsel: And is that the Commissioner of Oath before whom you swore the affidavit? Counsel: Now, photocopy or no photocopy that you claim, this is one of the exhibits that you attached to your exhibits, is that not right? Counsel: And are you able to assess what that exhibit number that appears to be truncated is? Counsel: In order to put this matter beyond any dispute, I’m going to give you the second [exhibit] on that list then we can have a conversation. It is MB-H-142 I believe, just confirm the exhibit number. Witness: I think it is MBS 192…there is a 670, I think there is a line between 670…it is not clear…. Counsel: So you are clear about the exhibit number at the top. In this case you are very clear about it? Witness: No, I’m not because MBS, there is a 670, there is a 190 written on top. It is not clear how the two are related. Witness: What was in the exhibit number is 670. Counsel: Can you confirm that in the Commissioner for Oaths stamp, he refers to a different exhibit number? Witness: He refers to the 670 that was cancelled. Counsel: So there is a discrepancy between the exhibit number at the top and the exhibit number that is in the Commissioner for Oaths. Witness: That’s what I’m saying; it is not clear what the relationship is, maybe he thought it was still the same 670. I cannot speak for that. Counsel: Dr. Bawumia, it is clear that the two numbers are different, is it not? Counsel: I’m just saying that there is an MBS 670 and it appears cancelled. One doesn’t know whether we are dealing with a ‘7’ there or just the ‘670’ or ‘192’. He has maintained ‘670’…unless he is here to confirm exactly what he meant, I cannot tell. Counsel: So on the face of this exhibit, we cannot tell whether there is a discrepancy or not, is that your suggestion? Witness: I’m just saying that if I had to go, I will go with the ‘670’ because that is what is clear on the face of the pink sheet. Counsel: You see Dr. Bawumia, I want you to be fairly straight-forward with this court; in the box where the Commissioner of Oath’s stamp is, what is the number there? Counsel: Earlier, you said the top ‘670’ is cancelled, is that not? Witness: I said that it “appears” cancelled, but I’m not sure….I don’t know. Counsel: Dr. Bawumia, this is your exhibit so we will only need to depend on you to tell us…. Witness: This is why I’m saying that when I look at the exhibit, I will stick with the ‘670’. Counsel: You will stick with the 670 which has been crossed at the top? Witness: Yeah, this is what I’m saying, there is a ‘7’ and he’s put a line on the ‘7’, whether it has been cancelled or not, I don’t know what the Commissioner of Oaths was intending at that point, but he’s put the ‘670’ in his exhibit number. Counsel: And this numbering of exhibit was done in your presence? Witness: Not all the numbering was done in my presence. A lot of different groups were doing numbering of exhibits, so I wasn’t present in the numbering of all exhibits. Counsel: So you are not able to tell us anything beyond the observation that you have been making on the face of the document? Counsel: Presumably there were other people…who else were there? Counsel: Like who, because maybe we would need to call them to explain to us. Who else was there? Justice Gbadegbe: Counsel, before we go on, I wish to make an observation, and in doing this, I have the support of my colleagues. We all know that this is the first case that we are trying in this constitutional era, it’s bound to come out with difficulties and challenges, but much as we are open to fair criticism, some of the criticisms are going beyond bounds; to describe judges as timid is not healthy for the administration of justice. We would like to urge you all to be circumspect in whatever you say. After all some of the criticisms are good for the development of the law, but others tend to undermine the authority or personality of the judges. Thank you. Counsel: My lord, I do not know specifically what you are referring to. I do not believe that any of my colleagues and I can be accused…you were not addressing me? Justice Gbadegbe: No, no, no…..not the lawyers in court. For instance, when we delivered the [Bernard] Monarh case, perhaps we were wrong, but that was our decision. 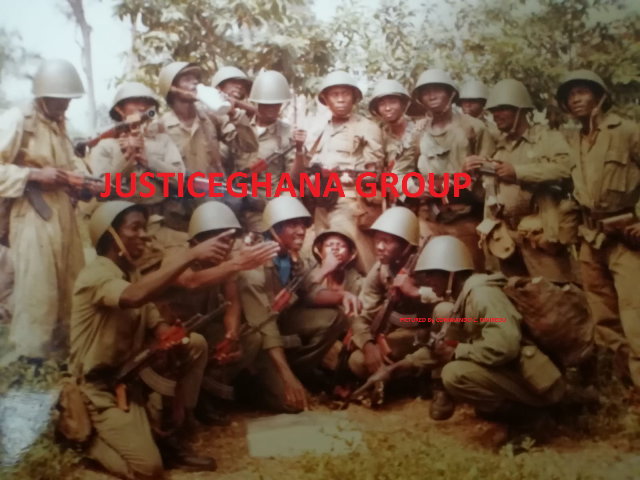 Certain articles that were on the website describing the judges as timid etc, is not healthy for the development of the law; It is not proper, that is all that we wish to say, we are reluctantly saying these things because we know of the responsibilities that we all owe to the Ghanaian society; all of us-the legal system-, to do this case in a manner that shows civility and so please, we are urging you to be circumspect and use language that is civil, that shows some courtesy to the court. We have the authority to deal with people, but we don’t want to. In the days of old, the judges who were here were very assertive, it is not as though those powers have eroded over time, but we just want to do this work in a manner that at the end of the day, we would all say that we were healthy partners in bringing about justice to our people. “I want to fill in the gap of time by saying this: certain dissections are made on rulings and judgments which are not based on what actually takes place here. The worrying thing is that some lawyers even do it. The last time somebody came here, Amekudzi or so and a number of objections were raised, but our ruling never threw him out on the basis that his motion was not supported by affidavit. Some lawyers have made submissions both in the electronic and print media that it was a legal point so affidavit wasn’t called for. I don’t know whether they even saw the ruling, the ruling never threw him out on any such ground. So I will appeal to the lawyers that they preserve the integrity of the process; to go by the actual record of what takes place…make sure that what you are saying is really what took place. The journalists; if they don’t understand, get across to the lawyers, they would explain to you that what has happened is…we want to be liberal, but you see, and too much liberality spoils things; an institution can be broken down through too much liberality. These things are for our own benefits, let’s preserve them. Sitting continues today at 9:30am.